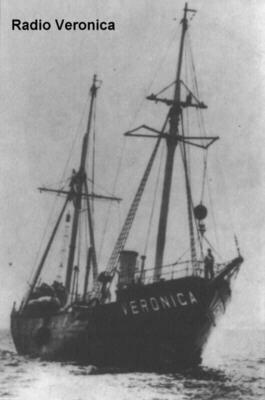 Perhaps the greatest success story of all in offshore broadcasting is Radio Veronica. From a humble beginning on board a former German lightship, the Borkum Riff (pictured) to the more luxurious converted trawler the Norderney, Veronica is now the largest broadcasting society in Dutch public broadcasting with land-based transmitters. 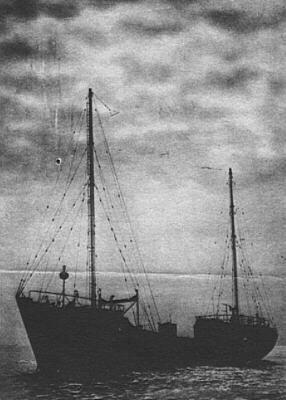 The station began broadcasting just after Easter 1960 on 185 metres, 1620 kHz from the international waters of the North Sea off Katwijk-aan-Zee, Holland with test transmissions. When regular programmes began on 6/5/60 the Dutch PTT started jamming the signal, so the station changed frequency to 182 metres, 1640 kHz. A short time later the frequency was changed to 192 metres, 1562 kHz which was used right up until 30/9/72 when the frequency was changed to 539 metres, 557 kHz to improve reception in Holland and the UK. The format was a mixture of Top 40 with specialist programmes of oldies, country & western and jazz, and was extremely popular. The station closed down at 18:00 on 31/8/74 due to the Dutch Marine Offences Act. On 28/12/75 Radio Veronica began broadcasting on Hilversum 4 with programmes also on Hilversum 1 and 3. On Fridays, Hilversum 3 became Hit Radio Veronica for the whole day with other broadcasters taking over the station for different days of the week. 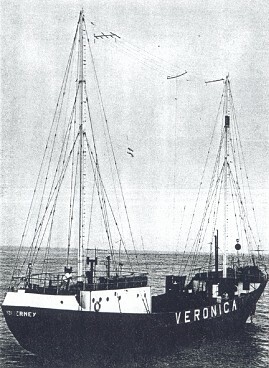 On 1/1/97, Veronica was broadcasting as Veronica 828 AM on 828 kHz from the MV Communicator anchored on the large expanse of water, Ijsselmeer, in Holland. 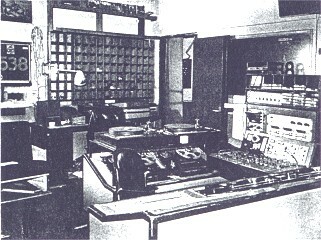 The museum contains many recordings of Veronica from the Norderney to Hilversum 3, and a broadcast from the Communicator. MV Norderney at anchor off the Dutch coast. Veronica car sticker (now outdated). The main studio on board. This picture was taken just after the closure in 1974. LEFT TOP - Calm seas - ideal broadcasting weather. LEFT BOTTOM - Stormy seas - the show must go on!